Why should you suffer just because you’re a corporate renter? Sure, your boss might want to put you in boring old La Quinta away from the beach, but we have some absolutely AWESOME Marina Del Rey corporate housing right next to the beach. We don’t think you should have to suffer La Quinta just because you have to work in the LA area. In any case, what you do on your days off is entirely up to you. 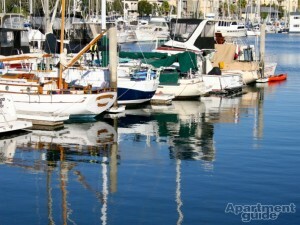 Marina Del Rey is ideal if you enjoy any form of water sports. You can rent paddle boards and kayaks, and there are dining cruises, and even yacht charters. 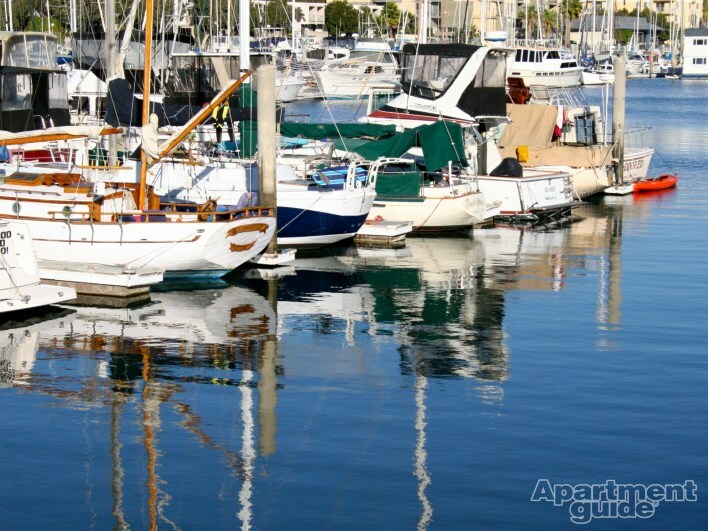 Heck, the marina itself in Marina Del Rey is the largest man-made small craft harbor in North America and houses around 5,000 small craft. The population of the town is only about 9,000, so that’s less than two people per boat! If you like to go shopping, there are some great boutiques in the town if you are staying in Marina Del Rey corporate housing, such as BCBG Maxazria and M. Fredric, and there are beauty parlors too, Sephora and DryBar, all just feet from the water’s edge. There are no less than 70 stores and eateries in Villa Marina Marketplace, along with several theaters and movie houses, and a 24-hour pharmacy and a market. There’s also a farmers’ market every Saturday from 9 am to 2 pm where you can buy fresh veg and fruit and it’s on County Parking Lot #11 where you can also park for just $1 an hour. In addition, there is Waterside at Marina Del Rey which is another shopping center with plenty of restaurants and clothing and jewelry stores, and yet another market. If you like parks, there is Aubrey E. Austin Jr Park and North Jetty. This is ideal for walking your dog and sitting on a bench watching airplanes depart from LAX. If you have a California fishing license you can fish from the jetty. There is also Glen Alla Park which has tennis courts, a basketball court, and paddle tennis courts on a first come first served basis. There is a large kids’ playground, and plenty of green space, and there’s a small farmers market on Friday morning. Key Housing Connections has a choice of Marina Del Rey corporate housing options, including Marina Del Rey pet friendly corporate lodging. You can choose from a luxury serviced apartment or a budget furnished apartment located in a prime Marina Del Rey residential area close to the beach. Either is preferable to living in a cramped hotel room in Marina Del Rey.